Coconut oil is an edible oil derived from the flesh of coconuts (Cocos nucifera), commonly used as a cooking oil and as a substitute for animal fats like butter or other solid fat sources, such as vegetable shortening. This oil is also a popular ingredient in cosmetics, especially in hair and skin conditioning products, as well as in non-cosmetic products such as candles. There are two main types of coconut oil: refined and unrefined. The former is often referred to as RBD coconut oil (refined, bleached, and deodorized), and the latter is known as virgin coconut oil. RBD coconut oil is extracted from dried coconut flesh (copra) using high heat and then goes through a bleaching and deodorizing process, which results in a neutral tasting oil that can be used for stir-frying, sautéing, and baking. 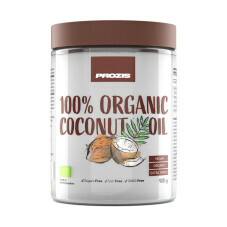 Virgin oil, on the other hand, comes from fresh, mature coconut flesh and is obtained via mechanical processes that don’t involve high temperatures, which is why it often carries the "cold-pressed" label. The result is an oil that smells and tastes like coconut and better preserves the natural properties of coconuts. 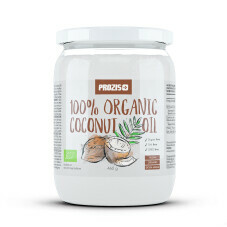 Due to its high concentration of saturated fatty acids, particularly long- and medium-chain triglycerides, coconut oil is more resistant to rancidity than unsaturated sources of fat, i.e., it has a longer shelf life.